Emails, phone conversations and other evidence reveal attempts by parents to help their children in the U.S. college scam. Here are eight of the most intriguing tidbits. The U.S. college cheating scam reveals fascinating details of how parents allegedly got their children into elite universities. The case involves high-profile actresses, lawyers, CEOs, vintners, a fashion designer and more. What united them was an ability to pay hundreds of thousands of dollars to allegedly secure spots for their children at their schools of choice. Documents filed in the U.S. District Court of Massachusetts explain how admissions consultant William (Rick) Singer opened a "side door" to top universities through the Key Worldwide Foundation. He pleaded guilty Tuesday to charges in the $25-million US scheme. The scam involved bribing coaches and university administrators and arranging for falsified test scores on students' entrance exams. At least 33 parents and nine coaches have been charged. Emails, phone conversations and other evidence reveal the lengths parents allegedly went to. They included staging photos, faking athleticism and even lying about learning disabilities. The allegations within the court documents have not yet been proven in court. Here are eight of the most intriguing tidbits. A key aspect of the scam was convincing authorities that some of the students needed extra time to write their exams because of learning disabilities. The foundation allegedly worked with a psychologist who helped issue the right documentation. Once that was in place, Singer could get the students' exam sites changed to a high school in Houston, Texas, or a private college in West Hollywood, Calif., where test administrators allegedly took bribes. The result could either be a stand-in who would fly across the country and take the test for the student, or someone to change their answers once they were done, to boost their scores. Singer worked with some parents to stage photos of their children playing sports — everything from soccer to water polo — so they could be admitted to the schools as athletes. 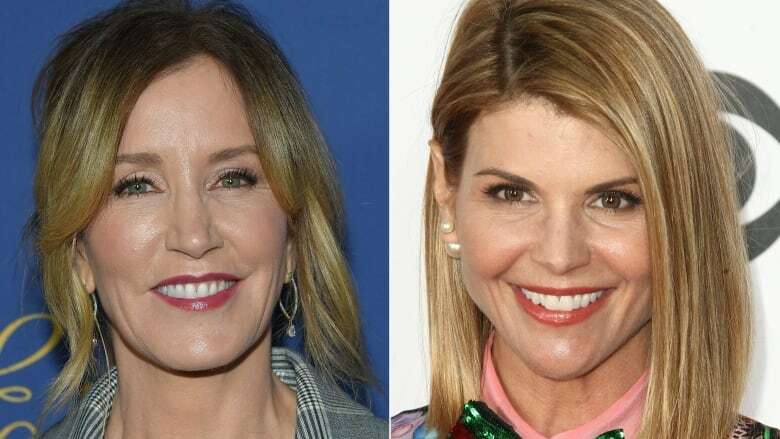 Prosecutors allege actor Lori Loughlin and her fashion designer husband, Mossimo Giannulli, agreed to pay $500,000 to get their two daughters into the University of Southern California (USC) through its rowing crew in 2016 and 2017. Neither girl was a rower. The couple allegedly sent in photos of both girls practising on an indoor rowing machine to help the cause, according to the court documents. 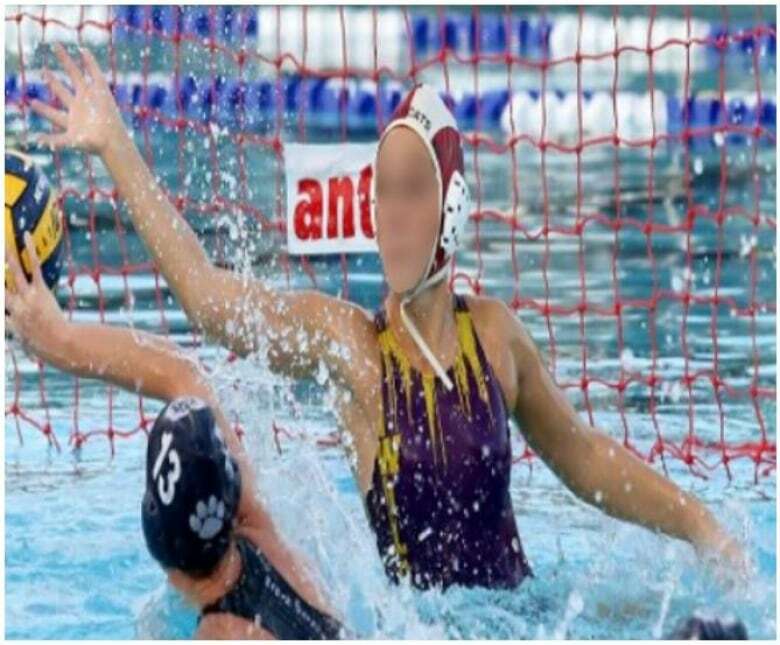 According to the documents, a vintner in Napa Valley got his daughter into USC as a water polo recruit by paying tens of thousands of dollars and having her exam answers changed after she wrote it. The plan also allegedly involved a "fabricated profile" of Agustin Huneeus Jr.'s daughter that identified her as a competitive water polo player — but it wasn't her. "You can't tell it's not her, but it's athletic enough, and [I] put in all the honors and awards to match," one of the co-operating witnesses in the case allegedly told Huneeus in a wiretapped phone call. Another family allegedly ordered water polo gear through Amazon and worked with a graphic designer to create some natural-looking photos. They went back and forth with the co-operating witness about the images until they looked just right. "Does this work??" the family allegedly asked in one email. A co-operating witness replied: "Yes but a little high out of the water-no one gets that high.'" The family allegedly paid $250,000; their son was admitted to USC. The foundation assured some parents that their children wouldn't need to worry about actually being athletes; they just had to look like sports buffs. In 2013, Massachusetts-based real estate developer John B. Wilson allegedly worked with the foundation to get his son admitted to USC as a water polo recruit by bribing the team's coach. "Will the other kids know [my son] was a bench warmer side door person?" Wilson asked in an email to a co-operating witness that's quoted in the court documents. "Obviously his skill level may be below the other freshmen. In your view will he be so weak as to be a clear misfit at practice etc?" The co-operating witness explained that Wilson's son could abandon the team after his first semester. The school was ultimately provided with falsified "fabricated swimming times and awards," the documents allege. Wilson allegedly kept up a relationship with the co-operating witness to secure "side door" university spots for his daughters through competitive sailing. In a wiretapped call in 2018, the co-operating witness encouraged Wilson to wire $500,000, because the slots would go to "whoever's gonna ante up." One 200-page affidavit lays out an FBI agent's findings against families in the case, including actor Felicity Huffman. The document alleges Huffman and her spouse, William H. Macy, made a "charitable contribution" of $15,000 so someone could change their daughter's answers on the SAT. But a counsellor from their daughter's high school offered to monitor the exam. That prompted Huffman to allegedly send an email to someone involved in the scam quoting Scooby-Doo: "Ruh ro! Looks like [my daughter's high school] wants to provide own proctor." The foundation and Huffman allegedly came up with a plan for Huffman's daughter to take the test on a weekend, purportedly so she would not miss school. Huffman's daughter subsequently received an SAT score of 1420. Huffman is charged with felony conspiracy to commit mail fraud and honest services mail fraud. Macy has not been charged. 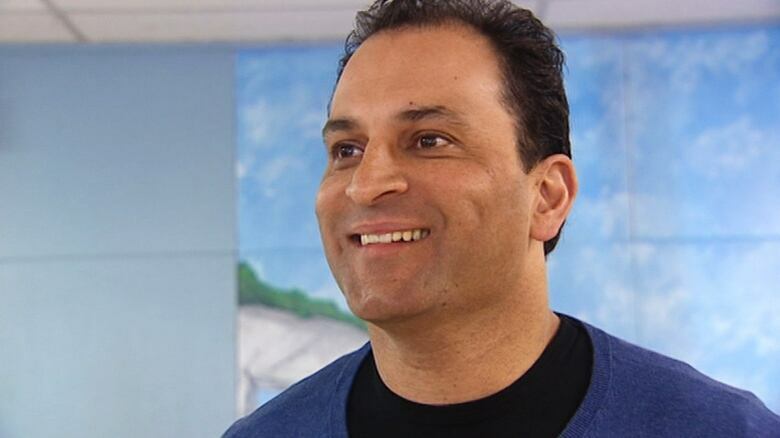 The indictment involving David Sidoo, a businessman and philanthropist in Vancouver, alleges he paid $100,000 for someone to take his son's SAT in 2011. He is also accused of paying the same fee for his other son. For his eldest, the plan allegedly involved Sidoo mailing copies of his son's driver's licence and student ID to create a false ID for the test-taker. The test-taker was warned "not to obtain too high a score" so that the results would be believable, the documents say. Sidoo's son had previously scored 1460 out of 2400 on an old point scale. The test-taker got 1670. Sidoo's son was subsequently admitted to Chapman, a private university in California, according to the documents. Sidoo was charged with conspiracy to commit fraud in U.S. federal court earlier this month. A statement released by his lawyer earlier this week emphasized the charge is merely an allegation and "carries with it the presumption that he is innocent." Not all compensation for the foundation's services came in cash. Davina and Bruce Isackson, a real-estate developer from Hillsborough, Calif., allegedly worked with the Key Worldwide Foundation to have their daughter admitted to UCLA as a soccer player in 2016. "I know it has been a rough ride but I thank you from the bottom of my heart and soul for your persistence, creativity and commitment towards helping [our daughter]," Davina said in an email to one of the co-operating witnesses in the case. The couple also asked the foundation for assurances their monetary "gift" would be returned if their daughter didn't get into the school as planned. Once she was admitted, Bruce Isackson allegedly transferred Facebook shares equivalent to about $250,000. "Your generosity will allow us to move forward with our plans to provide educational and self-enrichment programs for disadvantaged youth," the foundation wrote in a letter thanking the couple. Email exchanges and transcripts of wiretapped conversations included in the court documents show that some of the students were kept in the dark about their parents' alleged help. Marci Palatella, a liquor distribution CEO who lived in Hillsborough, Calif., asked for help getting her son into USC in 2016. She took him to the recommended psychologist, and her son wrote his exams at one of the foundation's preferred facilities. Palatella allegedly paid the foundation $75,000. When she later asked how to "position" her son on his applications, one of the co-operating witnesses asked her in an email: "Are you willing to make a contribution of several hundred thousand dollars as a donation to get him in as a participant in someone else's program?" "Money, for the right environment, Yes," Palatella allegedly wrote back. "But he can never know."